Lee McCaulla is published by Bicycle Press. 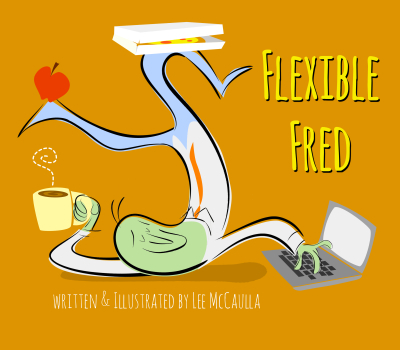 For media inquiries, licensing opportunities, speaking engagements, interview requests or other questions related to the publication of Flexible Fred, please contact the author directly via this website. Bicycle Press is a small publisher. Thank you for your patience during this early stage of publication.